Discover the basics of playing acoustic blues, including the right way to hold your guitar, what type of fingerpicks to use, and a quick discussion of capos. 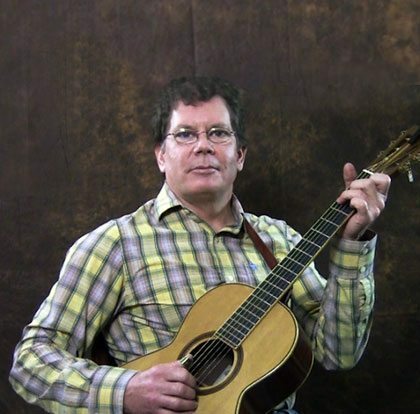 A discussion of basic chords used in the course, as well as tips on right-hand technique. How many fingers to pick with, how to play basslines with your thumb, and more. 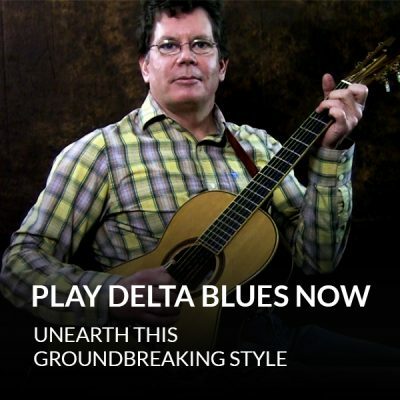 1 authentic blues song in the style of Mississippi John Hurt. And an improvisation based on the song. 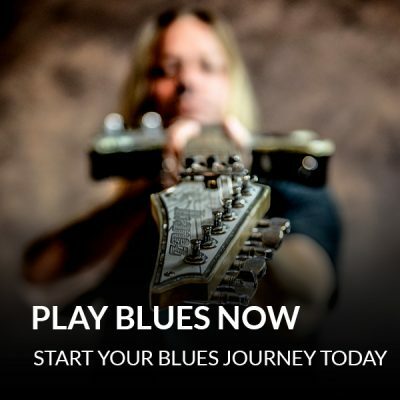 So you can get creative and make blues songs your own. 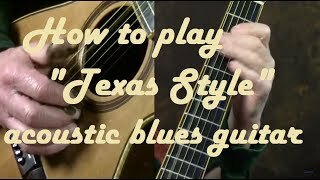 1 “East Texas” style monotonic blues song. Which means, there’s just one bass note at a time thumping along to a foot-stomping beat. 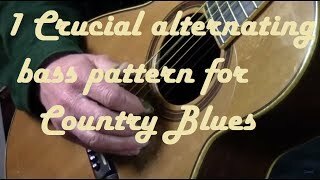 1 awesome acoustic blues tune in the style of Mance Lipscomb. And an in-depth study of the chords and techniques it uses, so you can play it with confidence. Tons of variations on this tune, so you can get ideas for improvising. Which means, this one song can be a jumping-off point for endless jamming. Find out how to combine bass patterns. So you can mix things up and play songs in different styles. 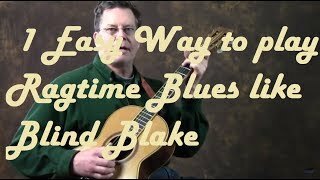 An introduction to ragtime blues, and what makes it unique. 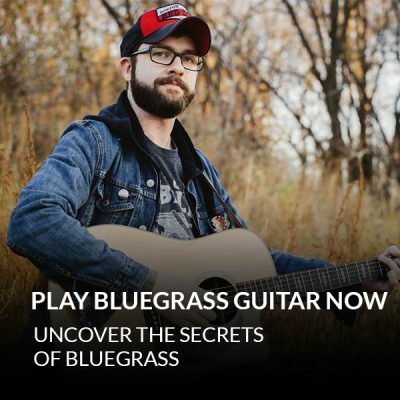 So you can play in the style of the Reverend Gary Davis, Blind Boy Fuller, Blind Blake and more. Find out how to add bass runs to your blues songs. So you can change the style of any blues song on-demand. A Robert Johnson-style lick that sounds awesome at the end of a song. So you can play authentic acoustic blues songs from beginning to end.